I must admit right off of the back that I am indeed one of the students you will see around the library or the Testing Center with multiple energy drinks trying to cram for that test I should have studied for days ago but come on we all fall victim to procrastination every now and then. However what I need to talk about is what is actually in our energy drinks, what are we consuming, and why are they making us so jittery? Luckily for us the Mayo Clinic has done just the experiment we are looking for. Before I jump into that let me explain that this experiment shows many things but most importanly the study finds that consuming even one energy drink may lead to increased heart disease in young adults. That is scary because Monster and Redbull probably make their money simply off college kids during finals week. Lets jump right into the experiment conducted by the Mayo Clinic. The Mayo Clinic had 25 healthy young adults, who did not smoke and to the knowledge of the researchers did not have heart problems or any other disease, with an average age of 29 come in, 14 of the 25 young adults were males. Each volunteer was instructed to drink once 16 ounce energy drink and a placebo drink within 5 minutes of drinking the other one, there was no specified order of whether to drink the energy drink then drink the placebo or drink the placebo then drink the energy drink etc; they had to do this on two seperate days with a maximum of two weeks between those two days. The placebo was similar in everything to the energy drink except lacked the key ingredients of caffeine and other stimulants such as taurine, guarana, and ginseng. As a side note, Taurine is a organic compound that is usually distributed in animal tissues, it is a big component of bile and can be found in large intestines. Guarana is a plant found near and around the amazon basin named for a tribe called the guarani tribe and its uses are mainly for athletic usage and treating minor problems such as diarreha, fever, headache, joint-pains, and heat exhaustions. Finally ginseng is actually considered quite healthy and used to give a short boost of energy and cure many problems such as allergies, joint-pains, headaches, sore throats, etc. From this we see that if used with organic ingredients energy drinks should not be that terrible for us but when bombarded with caffeine and sugar then the drinks become a very big problem especially when dealing with the heart. Results: The blood pressure of the volunteers as well as ther norepinephrine levels, norepinephrine is the chemical produced by the body to counter-act the epinephrine or fight-flight response chemical, increased by almost 74% which is huge when compared to the 31% increase seen when people drank the placebo drink. Systolic blood pressure, which is when your heart is contracting during the pumps, is seen with a 6% increase when consuming the energy drink and a 3% increase when drinking the placebo. Conclusions: Drinking an excess of energy drinks is very dangerous. What we see from the results is that energy drink consumption, even when drinking one, leads to many problems for our future selves. 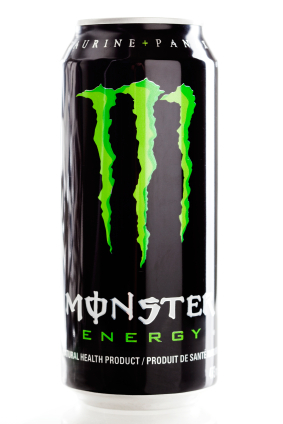 Now we all know that as Americans we can never consume just one energy drink, we must live into the sterotype of mass-consumption and drink a lot of energy drinks in one sitting. Which we can deduce is very dangerous, as one drink lead to many problems with the volunteers blood pressure, imagine what 4 or 5 could do in one sitting. Also to stave people away from over consumption here is a video showing what happens when you drink too many energy drinks in a short period. This entry was posted in Uncategorized on October 20, 2016 by Zachariah Watkins. Ahh. I almost didn’t want to read this post since staying up late to study almost always includes a can of Redbull but I figured I’m better off reading it. I was actually shocked to see that after just one drink can increase heart disease in young adults. That’s actually crazy and I feel like if that fact was a little more well known people would drink energy drinks less… or not (just like people know the negative effects of cigarettes yet continue to smoke them). If drinking energy drinks isn’t bad enough, many people enjoy mixing it with alcohol, which you can assume must be extremely dangerous. Here’s an article that explores the effects of mixing energy drinks and alcohol. I do not personally drink energy drinks, but just from seeing friends who do, I can’t imagine it would be very helpful in cramming for an exam. This site lists some of the many side effects of overindulging in energy drinks. Things like palpitations, tremors, and insomnia would definitely impede someone from doing their best studying and would likely do more harm than good for their performance on an exam. Not to mention, it would definitely do more harm than good to their body. I have never had an energy drink, but I have witnessed many of my friends experience a quick energy burst only to be followed by a hard crash at the end of the night. While I understand the need to stay awake cramming, as that is every college students life at some point or another, I think they are much better ways to stay awake other than energy drinks and coffee. I came across an article that discusses six drinks better than coffee or energy drinks to get one study better. As shocking as this may be for some people, water was number 1 on the list as being hydrated keeps one alert and avoid feelings of fatigue. If you wish to learn more about these drinks I recommend visiting this site http://www.kaptest.com/blog/law-school-insider/2014/09/22/healthy-study-drinks/. I have never been a drinker of energy drinks, and this only goes to make me glad I never liked them or drank them. A 74% increase in blood pressure is huge and could have all kinds of averse health effects, especially for people who drink energy drinks every day. Also, this study shows that not only do energy drinks have the potential for huge negative health side effects, many of the ingredients are potentially very toxic and are relatively unregulated. The study even suggests that the regulation of energy drinks should be stricter due to their toxicity. Overall, I think people should never drink energy drinks because of how bad they can be for your health. There also should be some kind of warning on the can, like there is on cigarettes and alcohol, warning about the potential health effects of energy drinks.